International reggae crooner Sanchez wowed the sold out crowd at Bobby Clarke in association with Irie Jam Radio 1st Annual Ladies Ball, held at Club Amazura on Saturday February 8th. Entering the stage in a full suit of black, with his signature top hat, Sanchez along with his uniformed dressed band, was ready to take this sold out crowd down memory lane and back. Starting his set with his rendition of Otis Reddings 'Change is Gonna Come' the crowd began to cheer as Sanchez sang with ease and strolled across the beautifully lit stage. He transitioned his set by holding a note for over 60 seconds and started to sing some of his hits like; 'I Cant Wait', 'Lonely Won't Leave Me Alone', 'Here I Am', Im Never Gonna Fall in Love Again, Missing You' and 'Chronic', it was evident from the beginning that Sanchez had this sold out crowd in the palm of his hands. Sanchez wasted no time before his jacket came off and his hat was removed. With non stop applause and cheering throughout his set, it was evident that the crowd couldn't get enough of Sanchez. It was now 2:32 am, Sanchez reached the part of his set where he decided to pay tribute to some of the veterans who have passed away in Reggae and Rock-steady. 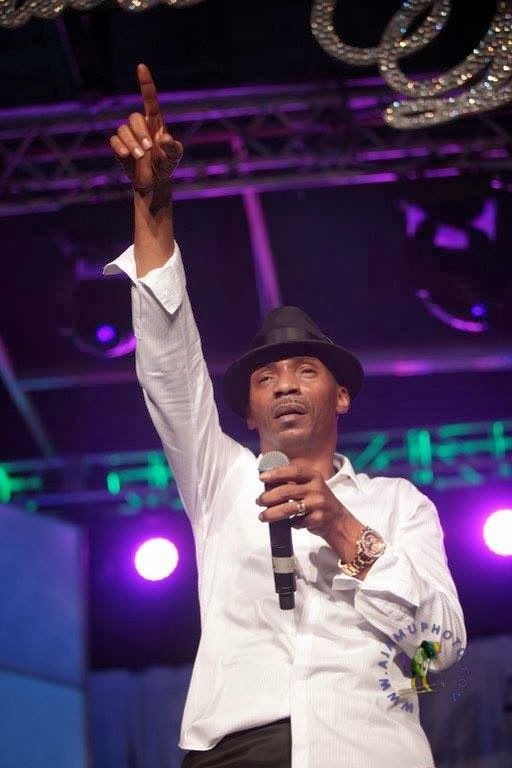 He began to sing songs of the late great Dennis Brown and Alton Ellis, now the crowd was rocking with hands in the air and phone lights on, it was evident everyone was in a 'Frenzy'. Sanchez abruptly stopped his set and said "I man love the ladies, and I love my fans, but there is one man I love above all things" and he began his gospel segment of the set. Sanchez sung songs like 'Down by the Riverside' 'I Must Tell Jesus', before ending his gospel segment with a beautiful rendition of 'Amazing Grace'. "The 45 minutes of Sanchez was just 'AMAZING' he made my night my week and I cant wait to see him again" said Iris Duvale. "When he sang 'Lady In Red' I just could not believe how great he sound, this was my first time seeing him live and he sound so much better in person" says Patricia Thompson, from Hartford Connecticut. Sanchez who is currently promoting two singles 'Buy You A Drink' and 'Hustle in the Streets' off his soon to be released album was pleased with the crowd response.